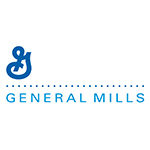 General Mills | Favorite Foods, Inc.
General Mills, Inc., is an American multinational manufacturer and marketer of branded consumer foods sold through retail stores. It is headquartered in Golden Valley, Minnesota, a suburb of Minneapolis. The company markets many well-known North American brands, including Gold Medal flour, Annie’s Homegrown, Betty Crocker, Yoplait, Colombo, Totino’s, Pillsbury, Old El Paso, Häagen-Dazs, Cheerios, Trix, Cocoa Puffs, and Lucky Charms. Its brand portfolio includes more than 89 other leading U.S. brands and numerous category leaders around the world.